Delightful letter form Prince George, aged 10, to Charles Fuller, who entered the service of the Royal Family as a nursery footman and personal attendant to Prince Eddy in 1864. 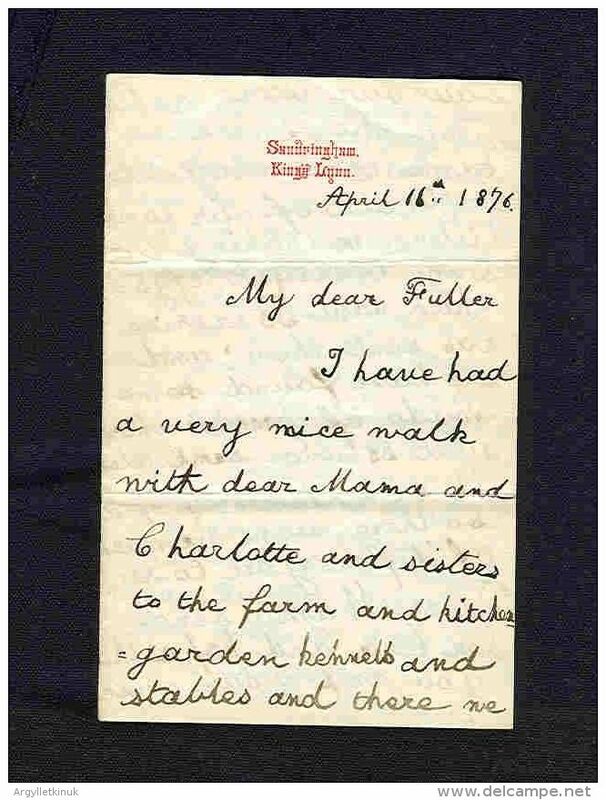 Letter is from Sandringham: \'My dear Fuller, I have had a very nice walk with dear Mama and Charlotte and sisters to the farm and kitchen garden kennels and stables and there we saw our little rabbits(sic) and they were so tame that they ate carrots out of our hands. 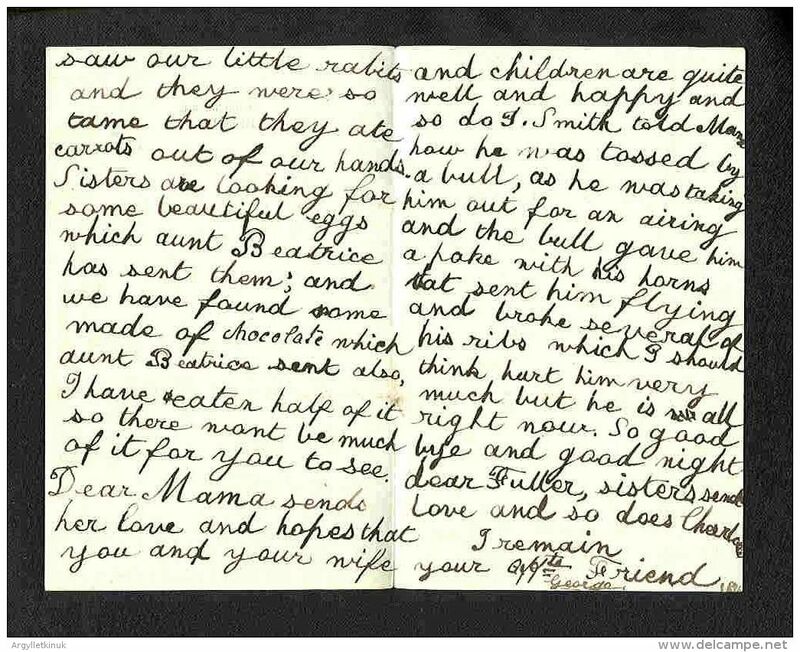 Sisters are looking for some beautiful eggs which Aunt Beatrice has sent them;and we have found some made of chocolate which aunt Beatrice sent also. I have eaten half of it so there wont be much of it for you to see. Dear Mama sends her love and hopes that you and your wife and children are quite well and happy and so do I. Smith told Mama how he was tossed by a bull, as he was taking him out for an airing and the bull gave him a poke with his horns which sent him flying and broke several of his ribs which I should think hurt him very much but he is alright now. So good bye and good night dear Fuller sisters send their love and so does Charlotte. I remain your affectionate friend George. \'Charlotte Knollys was HM Queen Alexandra\'s Lady of the Bedchamber and Aunt Beatrice was the youngest daughter of Queen Victoria.